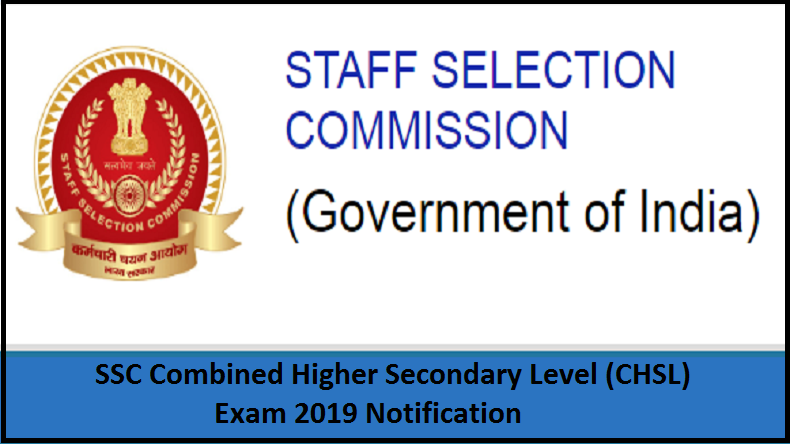 SSC CHSL 2019: Staff Service Commission (SSC) is all set to release the notification for the upcoming Combined Higher Secondary Level (10+2) or CHSL examination on its official website today, January 19, 2019. The Commission will be conducting the recruitment examination for various posts and the Commission will notify the details regarding the examination through its official notification at ssc.nic.in. Candidates who are interested to apply for the SSC Combined Higher Secondary Level Exam 2019 are advised to keep an eye on the official website as the notification will release anytime soon. How to download the SSC CHSL 2019 Exam Notification 2019?